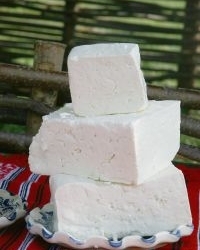 Cheese is a homemade Mongolian food recipe. Add the vinegar and allow the mixture to cool. When it’s been cooled, pour the mixture into a cheese cloth and drain off the liquids. Pour it to a bowl, add salt and mix well. You may wish to use less salt or more. You can also add some cream for or herbs. Keep it covered in a cold place.